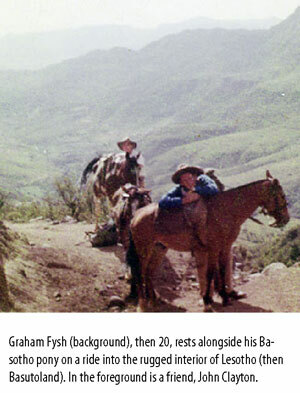 WHEN HE FIRST visited Lesotho (then named Basutoland) at the age of 20, South African-born journalist Graham Fysh found the country captivating. Riding on horseback with two friends into the rugged mountainous interior of the land-locked country surrounded by South Africa, he traveled from Malealea (the end of the road) to breath-taking Maletsunyane Falls, highest waterfall in Africa. As he did, he fell in love with the breath-taking beauty of the land and the friendly people he met along the way. A second visit to the country's interior the following year reinforced his feelings about the country. On his return to his home in Cape Town, he searched through old copies of The Cape Argus, the newspaper at which he worked, and found articles that depicted an intriguing and largely forgotten history during the colonial era in the latter half of the Nineteenth Century. He took copious notes which he thought might one day be material for a book. In subsequent years, as he covered politics at the time of apartheid in South Africa, he traveled not only extensively throughout the sub-continent but also to Lesotho and the then adjacent Sotho "homeland" of Qwaqwa. As he did, he promised himself he would one day continue his study of the Basotho history, convinced it was a key part of the story of cultural conflict in Southern Africa in the Nineteenth Century. When he took a break from daily reporting to earn a master's degree in journalism from Columbia University in New York his thesis compared cultural conflict in South Africa with that in the United States, again prompting thoughts of the book. In 1980 he moved with his family to Seattle where he earned a master's degree in communication from the University of Washington. While working at Seattle-area newspapers writing on business and investment, he continued to study cultural conflict in South Africa and around the world, never forgetting his goal of one day writing the Basutoland book. 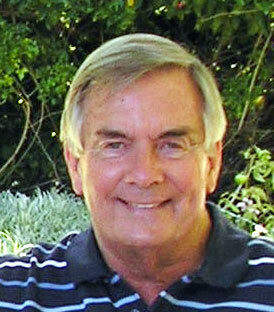 In 2005, shortly before he retired from daily journalism, he dedicated his time to fulfilling the dream. 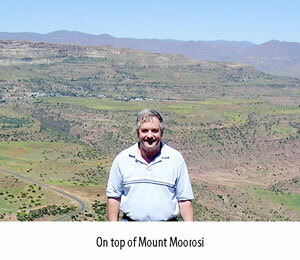 Now, after more trips to Lesotho, visits to historic places in the country, and seven years of research, that dream is a reality with the publication of his book "Moorosi: A South African king's battle for survival," the forgotten story of a Nineteenth Century uprising against colonialism. He sees it not only as an exciting story filled with surprising twists and turns, but also as a case study on how cultural conflict can lead to war. He believes, too, that it contains profound lessons for many areas of today's world in which the underlying tensions are remarkably similar. He and his wife live in Seattle and travel regularly back to South Africa. They have three children and seven grandchildren.